Thanks Tobi. I was very happy to have the opportunity to acquire these two pieces. 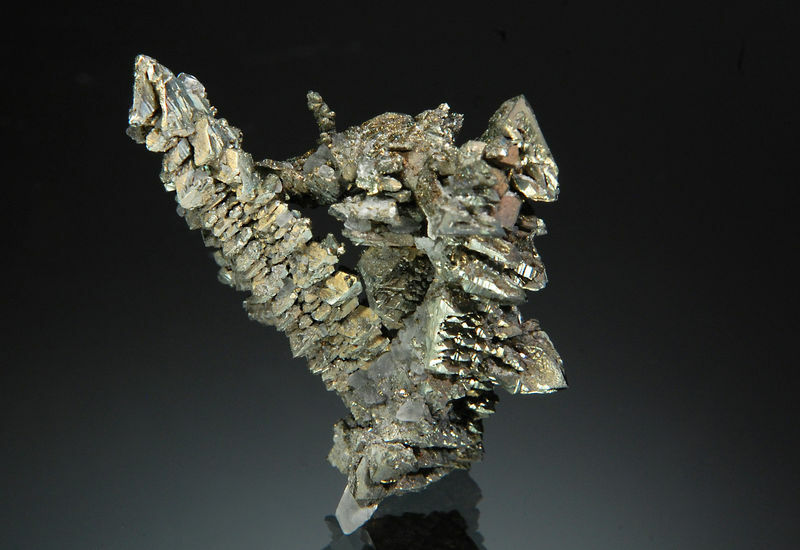 Metallic, brass-yellow spear-shaped marcasite crystals to 3.2 cm with small colorless calcite crystals. These pieces were collected by Ernie Schlichter, who collected there often. Ernie was a very serious field collector. 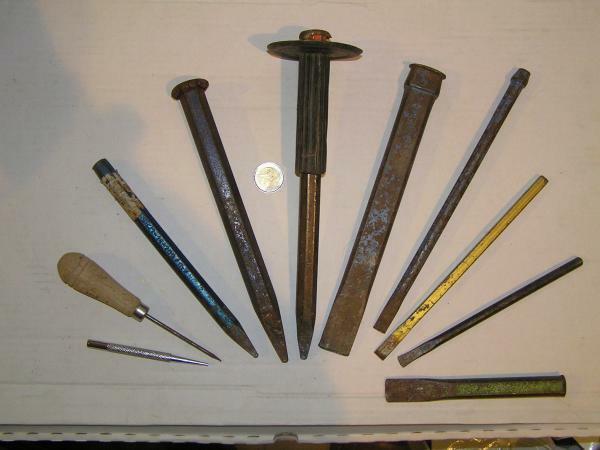 Where the pry bars and the misc. steel that we lug into the field can be quite heavy, Ernie had the good sense to have his kit made from titanium. Dimensions: 3.0 x 4.8 cm. 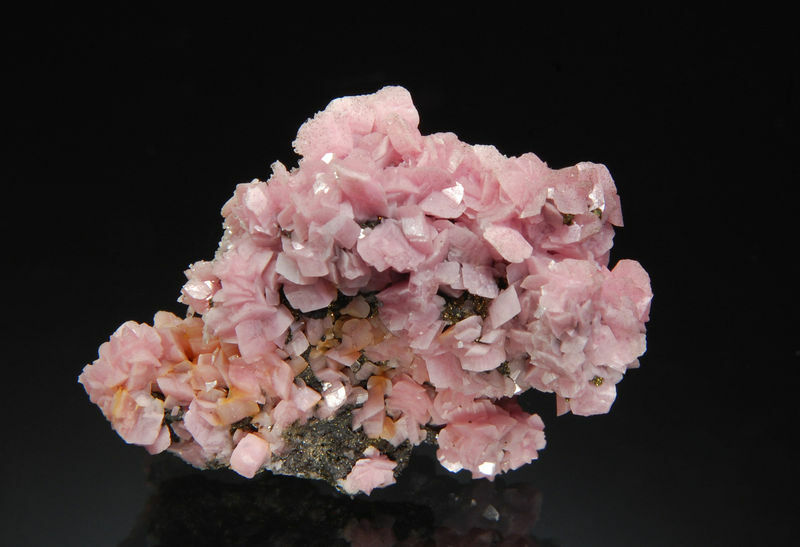 Pink rhombs of rhodocrosite to 5 mm covering a pyrite and quartz matrix. 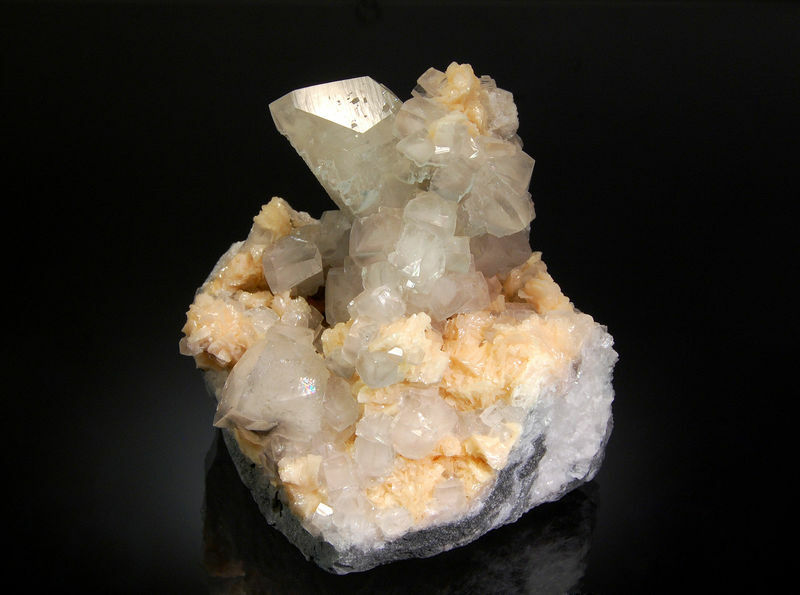 Cubic fluorite with well-developed decahedral modifications associated with transparent quartz crystals. That's a stunning combination Michael! Thanks Gérard. I was very pleased to find this thumbnail piece. It is perfect and has pretty good aesthetics. The big ones were priced out of this world! 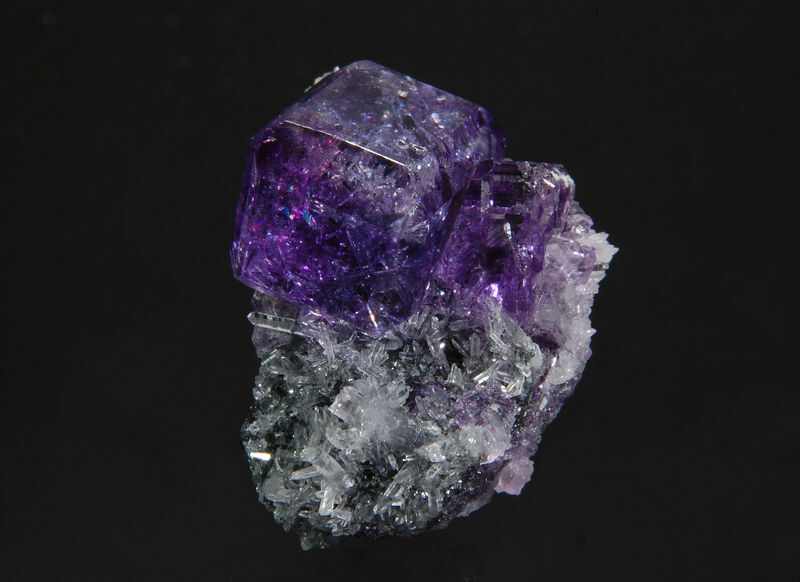 An intergrown group of glassy to frosted purple fluorite crystals to 3.5 cm on edge. Collected in 2018. Probably like many collectors, I have several pieces in my collection that would benefit from trimming excess matrix, broken crystals from the periphery, etc. I do not usually attempt to do this myself as I do not have the proper equipment. The specimen shown below is an exception - I have had it for a couple of years and it was relatively inexpensive, so I decided to take on the task yesterday. I was quite pleased with the result. I should have taken a photo of the specimen before trimming. 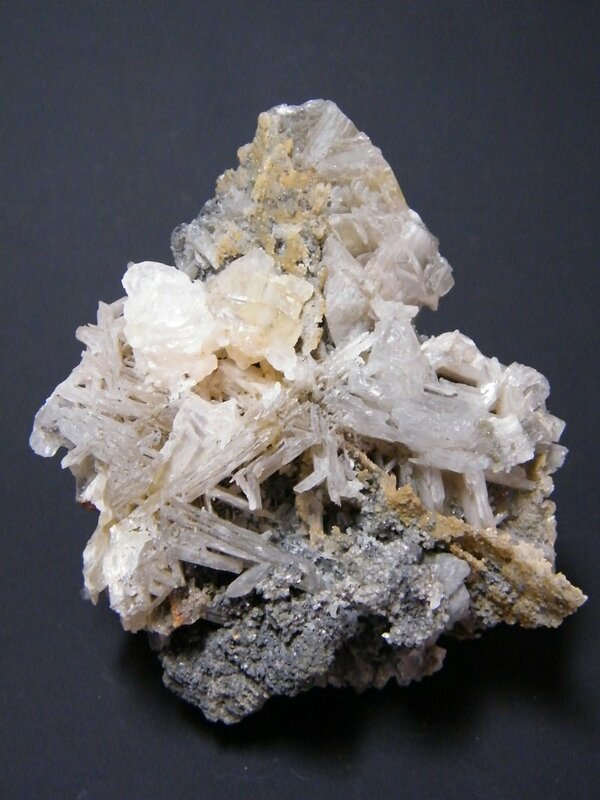 A second generation of opaque pale gray calcite crystals to 3.2 cm growing on white scalenohedral calcites with flesh-colored dolomite crystals on a gray limestone matrix. 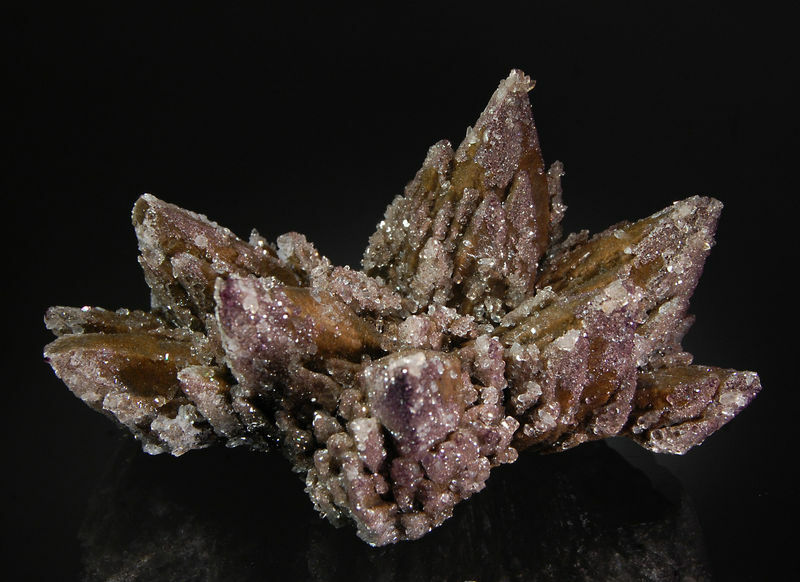 Chocolate-brown scalenohedral calcite crystals to 5.5 cm in length. 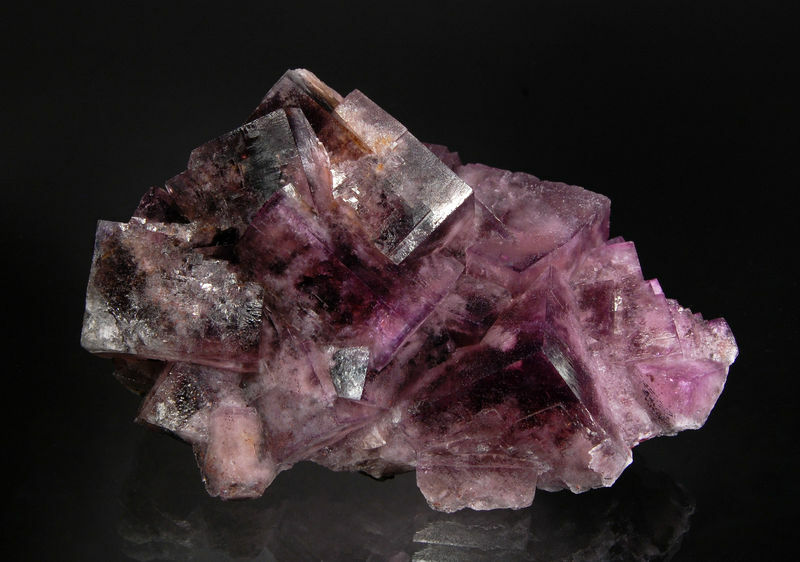 Small transparent quartz crystals are scattered over the calcites and the tips are coated with microcrystals of purple fluorite. 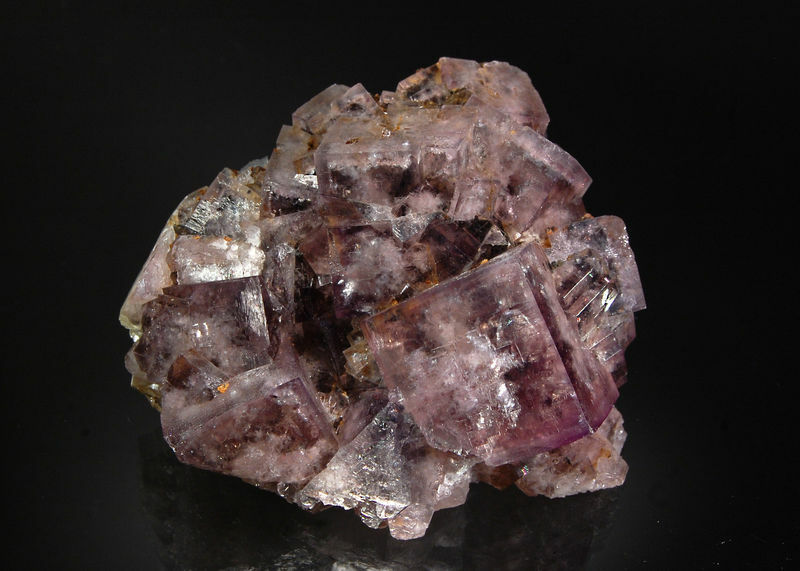 Description: An intergrown group of glassy to frosted purple fluorite crystals to 3.5 cm on edge. Collected in 2018. 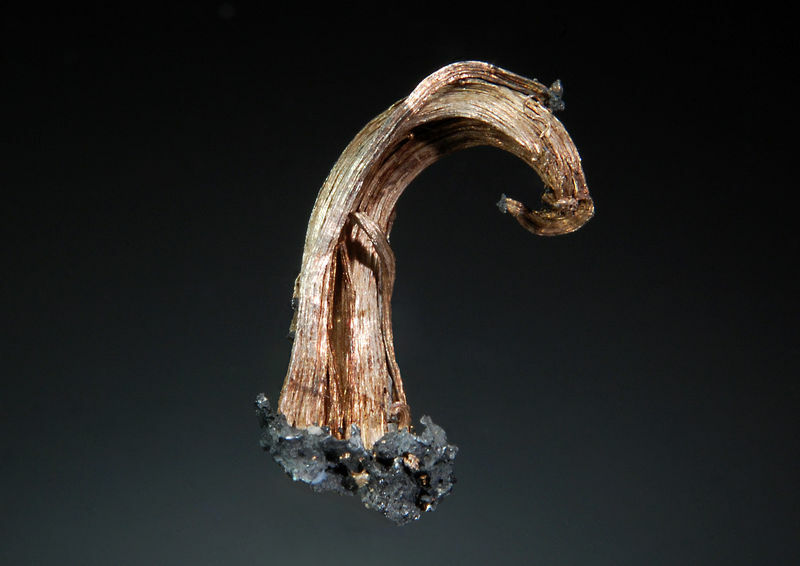 Thanks Tobi, Here's another piece from the same mine. Both of these pieces exhibit strong blue/purple fluorescence under LW UV light. 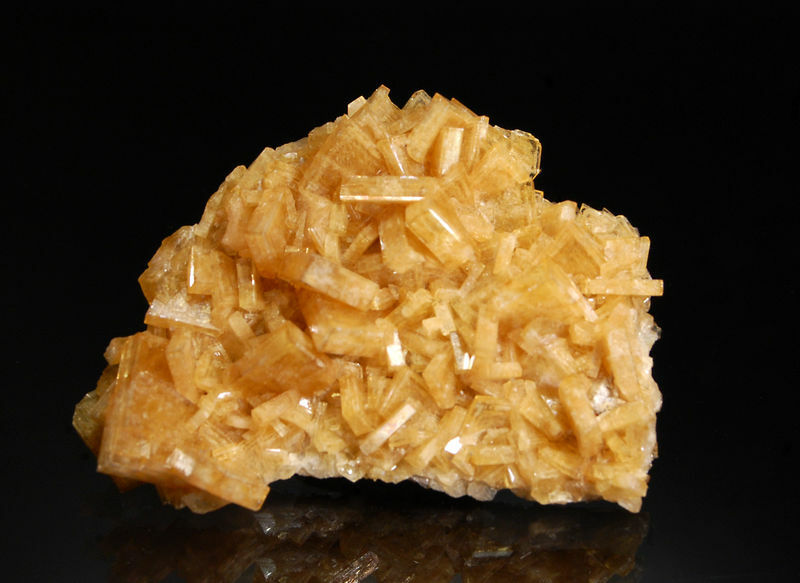 A thin plate covered on both sides with semi-lustrous chisel-shaped golden-yellow barite crystals to 1.3 cm on edge. It looks perfect, you did a good job! 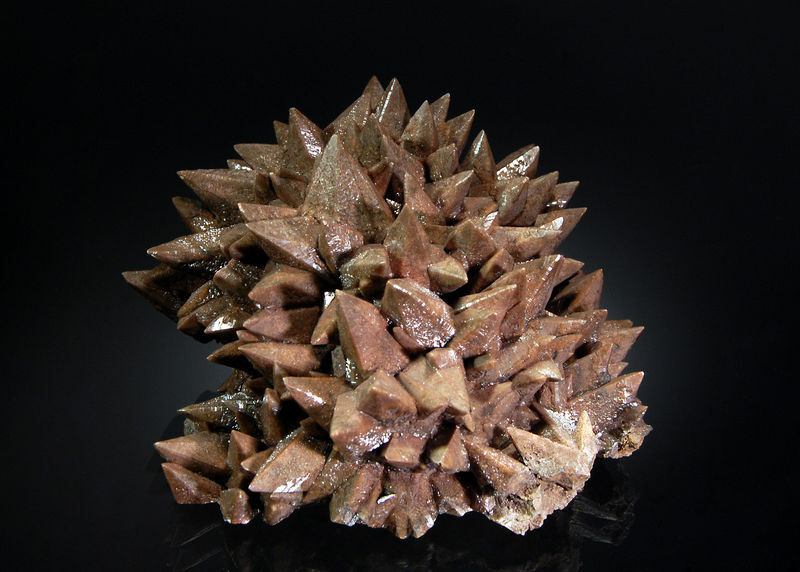 A mounded group of chocolate-brown dogtooth calcites to 2.0 cm.